The Ultima Savegame Editor is a program that enables you to edit your savegame files from Ultima I to Ultima V. You can modify almost everything. It also gives you the ability to create boats and horses in Ultima III which are very rare and essential. You can also transport your party to pre-defined or custom locations. To start the program, double-click on the application ‘Ultima Savegame Editor.exe’ on Windows, and on the application ‘Ultima Savegame Editor.app’ on Mac OS. When the editor is started, you can select the game you want to edit the savegame file of by clicking on the corresponding named tab at the top. Until a savegame is loaded, all values are set to defaults. If you enter an invalid value (out-of-range) in an edit box, an error message will appear and will force you to put that value back into an acceptable range. 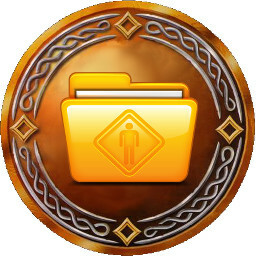 To edit a savegame file, you need to click on ‘Open‘ in the tab of your chosen Ultima game. In the dialog box that appears, navigate to your savegame files. The location of your savegame files depends on your system and where and how you have installed your games. Please see the next section written by HiPhish to help you locate them. The ‘Reload‘ button will reset all the changes you have made since the last save. It will not modify your savegame file on disk at this point. Note that if your savegame file is modified by an external program whilst the Savegame Editor has it open, the Editor will detect that the file was modified and will reload it automatically when you change a setting. The ‘Save‘ button will save the changes of the savegame you are editing. You can restart your Ultima game and enjoy your new settings. The ‘Exit‘ button closes the application. It will not ask whether you wish to save. Please ensure you have saved before quitting. The ‘Set EXE‘ button sets the path of the game executable. This option only works under Windows. The ‘Launch‘ button enables you to launch the selected game. The new savegame file will be used (if you have saved it). This option only works under Windows. In some Ultima modes, there is an option called ‘Go to‘. It enables your party to be relocated anywhere. To help you, some locations are pre-defined. Note that this feature will work only if your party was outside when you last saved your game i.e. not in a dungeon or a town. In Ultima IV, the ‘% of‘ corresponds to the Avatar’s karma in each virtue. A value of 00 means you are 100% avatar for that virtue. Values of 1 to 99 correspond to a degree of achievement (in %, higher is better). Windows uses drives with letters for the operating system. Usually the hard drive it’s installed on has the letter C and from there on other drives are given the next letters in the alphabet. Under the wrapper C refers to the folder ‘drive_c’ inside the wrapper itself and your Mac’s hard drive is drive Z. For instance, if your savegame file is located under under ‘~/users/me/DOS Games/Ultima/Ultima 1’, then you would have to go to ‘My Computer/Z/users/me…’ and so on. The location of your savegame files depends on how you are running the games. They are all DOS games, so the three most common choices are DOSBox, Boxer and the download versions from GoG.com (which are also based on Boxer). The program is clever enough to hide all the files that aren’t Ultima savegames, so you only need to find the right folder. standalone application and ready to run right out of the box on its own. To comply with OS X standards all changes done to the games (like save files) are stored in your user Library. This means your savegame files can be found under “~/Library/Application Support/Boxer/Gamebox States/[name of your game]/Current.boxerstate/[name of your game].harddisk/”. In the case of Ultima I this would be be : “~/Library/Application Support/Boxer/Gamebox States/com.gog.ultima-1/Current.boxerstate/C Ultima1.harddisk/”. the first version of the tooltips for the utility. understand where stones, runes and quest items were encoded.